TAMPA, FL--(Marketwired - Mar 15, 2016) - On the heels of a record-breaking year of growth, i9 Sports franchise announces an aggressive expansion plan to add dozens of new franchise locations each year over the next several years. The country's first and largest youth sports franchise is looking to partner with entrepreneurs who want to bring the fun and potentially lucrative business to their communities. Last year the company achieved a new all-time high level of network revenue, marking 12 consecutive years of record revenue. 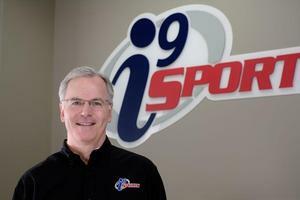 As the company expands its domestic leagues and targets growth across the globe, now is a great time for entrepreneurs to join the i9 Sports family as franchisees, according to President and CEO Brian Sanders. "The youth sports market is a multi-billion-dollar-a-year industry encompassing 42 million kids annually. Guess what? Every year there is a new bunch of kids turning age 3. While there's this inexhaustible supply of customers to serve, the territories we have available are limited. We sell protected territories; that means that once all the territories are sold within a market, we cannot sell more. We're rapidly filling in the available territories across the country, so if you're passionate about sports, love working with kids and want to own a great business, there couldn't be a better time to jump in." Unlike typical community recreational leagues, i9 Sports supports healthy competition and believes that every child should be both encouraged and given the opportunity to make the most of his or her abilities. Each child is given the opportunity to play, regardless of skill level. There are no tryouts or drafts. 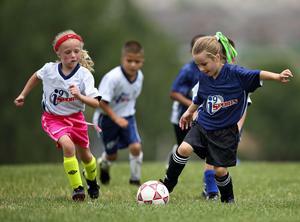 i9 Sports emphasizes learning the fundamentals of the game and good sportsmanship and having fun with friends. "As a society, we've lost the idea that youth sports are intended to be games," i9 Sports President and CEO Brian Sanders said. "The number one reason kids play sports is to have fun. It is not surprising then that the number one reason kids stop playing sports is because they stop having fun. Overly competitive adults and a focus on winning have driven the fun out of most sports programs. At i9 Sports, we are reclaiming youth sports for the kids, and we've found there is an enormous market for what we offer in every community we've entered." i9 Sports is especially attractive for busy parents. 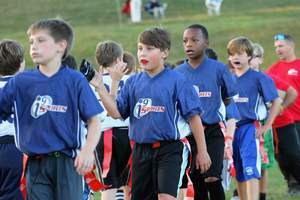 The youth sports franchise designs its programs with convenience in mind. There are no mid-week practices; all practices are on game day. Another convenience for busy parents is that i9 Sports doesn't have fundraisers or mandatory volunteering. "Today, most families are dual-income," Sanders said. "That means that a family's approach to extracurricular activities is much different than it was 15 or 20 years ago. Parents have to be very choosy about what activities they sign their kids up for because of their limited time. With our unique format, the family can show up on a Saturday, go to the practice, go to the game, have a great time, go home and it's done. There is no reason that a child's recreational sport activity should consume a family's life." Offering the four core sports of flag football, baseball (or tee ball), soccer and basketball, i9 Sports also equips its franchise owners with the latest in technology through proprietary software to effectively manage their sports programs and communicate with their customers. "From that software, franchise owners can notify parents about where and when they are playing, weather updates and who is bringing snacks," Sanders said. "Our technology really helps franchise owners provide an exceptional experience for our customers." The company's long-term vision is to become the undisputed leader in recreational youth activities worldwide by delivering a superior and extraordinary customer experience. Sanders said: "When we get close to completing our expansion in the U.S., we anticipate expanding internationally. Virtually everything we do will translate easily in other countries. Youth sports are a universal concept and although the sport might differ, the way our system works should be the same anywhere." An i9 Sports franchise owner's initial investment and franchise startup costs will range from $49,900 to $69,900, depending on the size of territory purchased. It is important to consider that these figures do not include funds that a franchise owner will need for living expenses while starting the business. The initial investment is low because no real estate purchase is required; no major capital equipment or significant upfront inventory is required; and i9 Sports is an established franchise system with a proven formula. "From a strictly rational standpoint, it's a pretty handsome economic opportunity. I don't know of any other business that has an initial investment as low as $49,900 yet has the average owner's discretionary profit margin like ours," said Sanders. "From an emotional perspective, it's far more than just making money. Franchisees tell me they see i9 Sports as a vehicle for achieving their dream of making a living by doing something that makes a real difference in the lives of others. If you really care about kids, love sports and want to do something worthwhile that changes people's lives, I'd say i9 Sports is the right decision for you." To learn more about franchise or conversion opportunities with i9 Sports, visit www.i9sportsfranchise.com. i9 Sports President and CEO Brian Sanders says country’s first and largest youth sports franchise is poised for nationwide expansion. 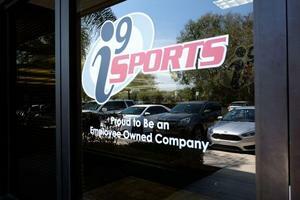 Based in Tampa, Florida, i9 Sports seeks to become the world’s leader in youth sports. The youth sports market is a multi-billion-dollar-a-year industry encompassing 42 million kids annually. Owning an i9 Sports franchise offers a career that’s both personally and professionally rewarding. i9 Sports franchise President and CEO Brian Sanders discusses the i9 Sports franchise opportunity for entrepreneurs, its unique position in the youth sports market and where the company is headed.